This post is 10 things I think will help if you want to run autism friendly events in your museum. I am not an expert in autism or museums, but they are both close to my heart and I have seen what works. I have three children, the eldest is autistic, I volunteer in museum and I love museums and I want to be able to show my children why they are so wonderful. 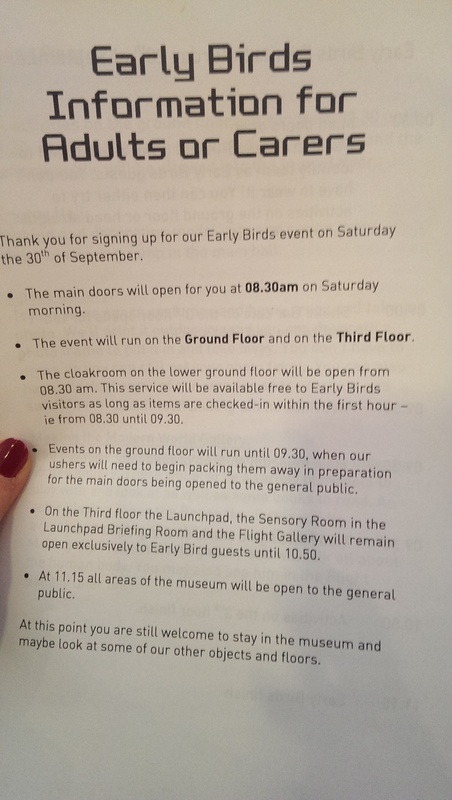 I have been to the Science Museum Early Bird Autism friendly session and had a brilliant time with my family. 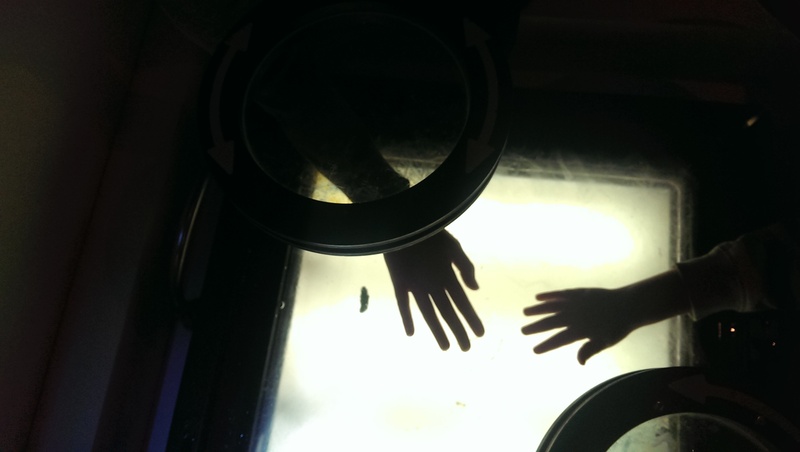 I wrote a post about our visit, and I returned to the Science Museum on my own to really observe what was going on. The Science Museum kindly allowed me to find out about their programme and how it has developed. I want to say a massive thank you to the learning team: to Anna, Anthony and Kate. To the staff I met who do a great job at these events. They sat down with me and answered all my questions and this post is my way of pulling that information together. 1 – Get advice – If you don’t know where to start, get advice. You can’t just put on an event that you think will work with autistic families without getting a real understanding of what it means to be autistic. It is a spectrum, there is a massive variation of symptoms and it affects people in different ways. If you have met one person with autism, you have met one person with autism. Contact the National Autistic Society or your local Autism support group if you have one. They are working alongside families everyday, this is what they do and they will help you to support autistic families in your museum environment. To put on an autism friendly event or session you need to understand why autistic children and adults struggle in a museum environment to begin with. 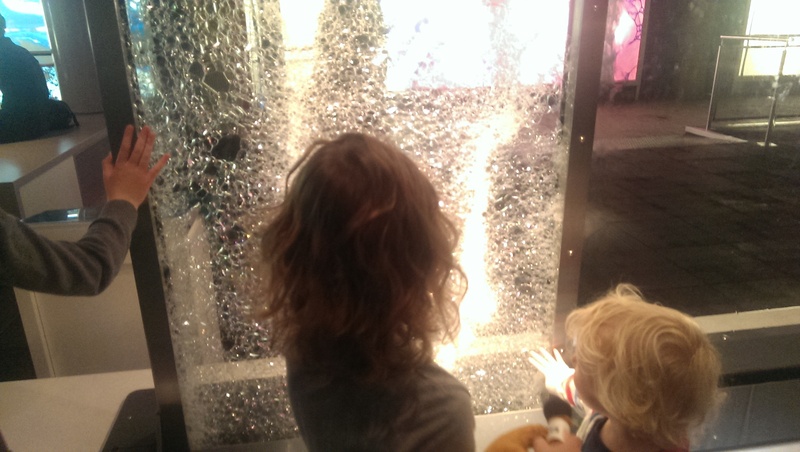 The Science Museum sat down with 13 families from the Southwark branch of the National Autistic Society. Asking the people who are directly affected is the best way, asking for help from a charity whose mission is to give support and spread awareness is another. But the most important thing is to listen to the advice being given. 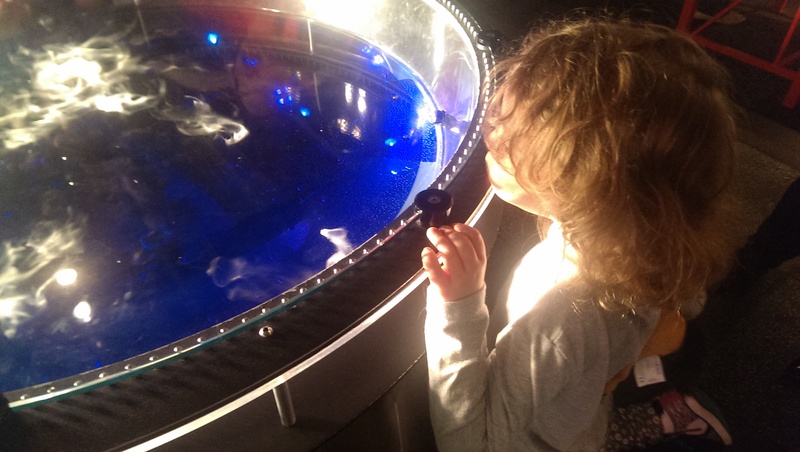 I met one of those original 13 mums at the Science Museum event, what impressed her the most is that the Science Museum really listened to what was being said, they tried to understand and they put on a programme that reflected her child’s needs but also the needs of her family, who simply wanted a day out at the museum. 2 – Do your research – Anyone can visit the National Autistic Society website and read up on what autism is, how it affects people, the kind of problems encountered. Take the time and make the effort if you want it to work. It doesn’t have to feel like homework, read a book like – The Curious Incident of the Dog at Nighttime or The Reason I Jump. Thought provoking, interesting books about autism, what it means and the affect it has, but ultimately these books are about people. I am not an expert but I read a few books here and there, I talk to people, I try and understand and believe me it takes time and effort. 3 – Experience what works – Take your research outside your museum walls. Go, leave your museum behind, take a team member, take the whole team. Not just to another museum, the difficulties aren’t just museums, they are busy places, loud events, noise and over stimulating environments. 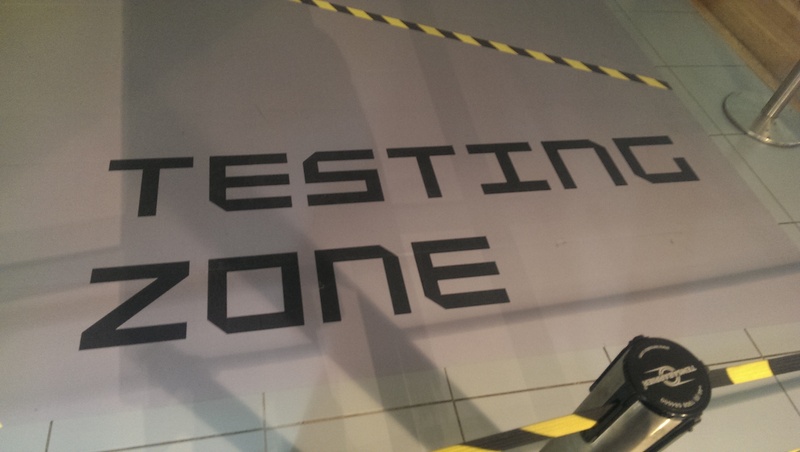 The Science Museum went to a ‘relaxed performance’ of the Lion King, they saw for themselves how it worked, they picked up tips and saw what went well and how they could translate that across to their own spaces. No event is perfect or problem free that is not the point, go and see what works and take that information, shape it and mould it and make it work for your museum space. 4 – Use in-house knowledge – I don’t want to sound patronising in this blog. Museum learning teams are already doing amazing things. There is already so much in-house knowledge about autism and autistic children. You have school groups that visit and you can bet some of those classes will have autistic children in them. You are already supporting autistic children in a small scale way everyday. My daughter is in a main stream school, not every child with autism will be in a special school. You know the children that maybe can’t sit still, that need more support during a visit, a map, a timetable, a one to one teaching assistant working with them. You might have a parent of an autistic child who works for your museum – they can be a great starting point. There is so much in-house knowledge and expertise already in place, sometimes it is just a matter of looking in the right place and asking the right questions. 5 – Get support from on-high – You can’t do this on your own. You need help and support and you need your museum management to understand what you are doing and why you are doing it. This isn’t always easy. But making an autism-friendly event work in your museum is opening up your museum and making it accessible to families who really struggle to visit if they even make it at all. All museums should be trying to reach people who are behind the barriers. Museums do change lives but it has to be about more than the people who are already your visitors. Museum management want to increase visitor numbers, so how can they not support initiatives that bring in new audiences? 6 – Prepare your visitors before and during the visit – Visual stories, timelines, emails about what to expect. The Science Museum email out a visual story, it is up on their website, it explains about what to expect on a visit. Autistic children often like routines and visual aides work very well in reassuring them and preparing them. When you arrive at the Science Museum, adults and children get their own guide to the session. 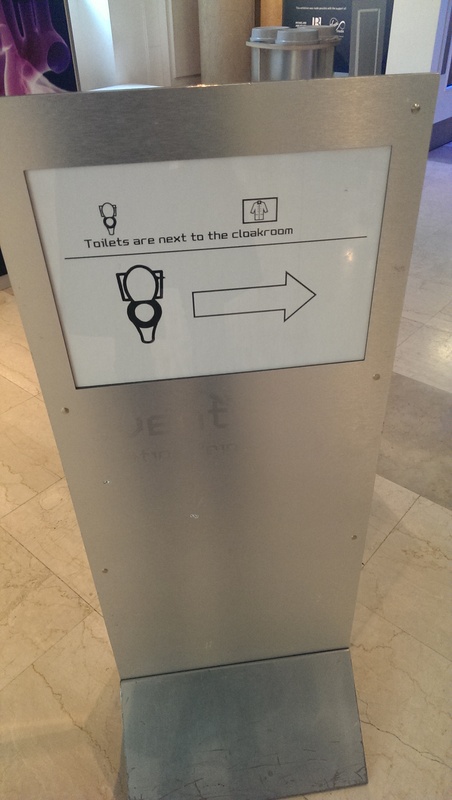 As you walk around the museum, toilets and activities are given extra signs to make the environment more supportive. If there are only 3 spaces in the car park let people know. If the train stations is a 15 minute walk make sure it is clear. You can’t change these things, but information is powerful. Giving the information to your visitors allows them to make the best decision they can about how they reach you and what to do when they get there. 7 – Prepare your museum people – What particularly impressed me on talking to the Science Museum is they trained everyone in preparation for the session. Not just front of house staff, but catering, security, everyone. One staff member was quite candid with me, some security weren’t sure what to expect, they were a little nervous. When do you step in if a child is becoming increasing agitated and even violent? Seeing a two year old having a tantrum it is one thing but if a 12 year old is struggling it is a different matter. The Science Museum taught staff to give parents and carers time to deal with a situation, offer alternatives, ask how they can help. Lack of knowledge can make a disability seem frightening and can cause people to avoid dealing with a situation. They are just kids after all, not scary monsters. Preparing people gives them the confidence to understand and deal with any situation that might arise. 8 – Plan your program and prepare the space – The Science Museum offer a number of different types of activities: some active – making car kits and running cars down ramps; creative: making picture frames; actors working one to one with children, there are self led activities, spaces to chill out and relax. It gives parents the choice to go with what works for their child. It is a flexible approach that takes the stress out of forcing a child to do an activity because it is the only thing on offer. 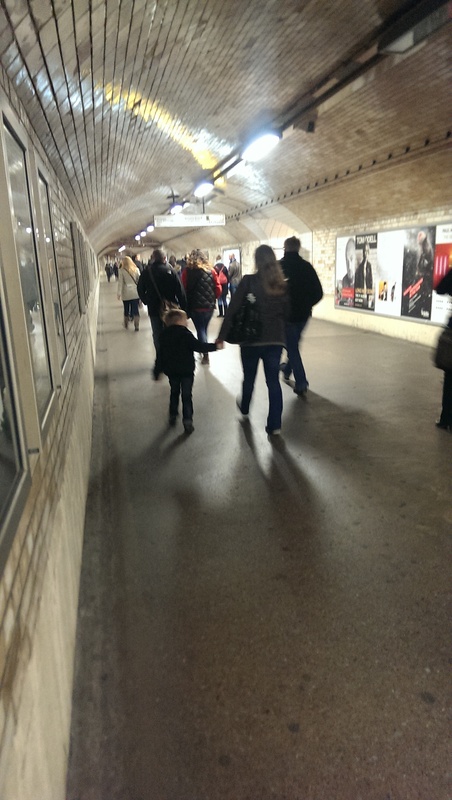 Families don’t have to do anything, they can just wander and enjoy the museum space. Where possible they turn off loud machines, in the main turbine hall there is a steam engine. They turn it off but warn parents it will be turned on towards the end of the session. If you have galleries which are particularly dark or ones with very bright lights, think about the best space to offer activities. Offer alternatives, you don’t have to change your gallery spaces. 9 – Get feedback – use your feedback – Feedback and evaluation is absolutely crucial to the success of an autism-friendly event in your museum. Get on the spot oral feedback on the day from your staff, get written feedback from forms, get email addresses and ask for feedback. Run feedback focus groups. Autism is really unpredictable and it is very hard to say what will work well. More than any other programme you need to find out what activities worked and which spaces worked well for families. A high percentage of those booked to come to your session may not even turn up, travelling to a museum can cause major problems for autistic families. Sometimes barriers are outside the museum, so do what you can to find out why families didn’t make it. Is there something you can do to help? 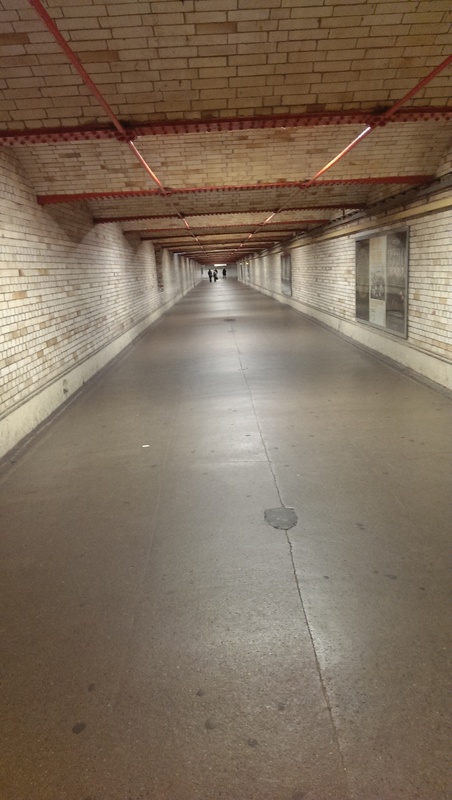 Busy spaces cause problems – if you look at the two photos below you can see how running events early in the morning can strip out all the people that can cause problems when visiting a museum. 10 – Funding – This is a really tricky one. All museums are facing cuts, making hard decisions on where the money goes and how far it can stretch. Launching brand new initiatives is not an easy option when funds are tight. The Science Museum received an anonymous donation to work specifically with hard to reach groups. A large museum, opening outside normal hours, training all staff, that all takes money. I have discussed the whole funding issue with people. These kind of events should just be part of what a museum offers, but it would be naive to suggest you can do something ambitious without funding. But what you can do without funding is put a visual guide up on your website and include pictures of your museum, of the toilets, the entrance, the galleries, the parking. Tell people there is a very dark gallery, a very noisy gallery, there is a quiet space, there is somewhere to go if everything is too overwhelming. Do you have a particular quiet time during the day? Is there a gallery that is normally quieter than the rest? 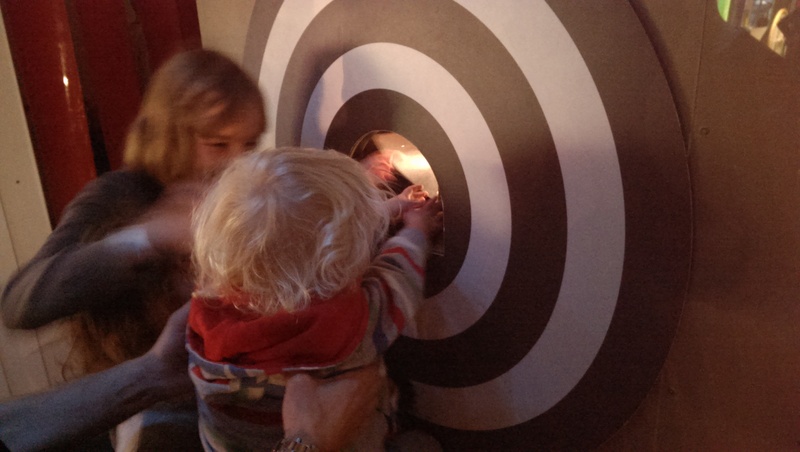 If you can do this one thing you are making your museum more friendly to autistic children and their families. When I wrote these 10 points down they seemed kind of obvious, there is no magic formula to make autistic children and families welcome in your museum. It can be as simple as one volunteer making one little gesture that makes one family feel that their needs are understood and met. Museums can change lives, but they need to reach beyond their walls, they need to understand what the barriers are. It is not enough to say we are open to everyone without realising why sometimes being open to everyone is not the same as giving access to everyone. As ever, thanks for your comments. We went to an autism friendly screening at the cinema and my daughter complained it was too quiet and the other children were ‘annoying’! So you really can’t win sometimes. Things are changing, events like this are so important. I was outside the Natural History Museum on Saturday, there was a big queue and when inside it was packed. I went with out the kids, it made me very sad that I know I just can’t take them there when it is like that. It is like seeing a massive ‘No Entry’ sign. It is such a cool building, and who doesn’t love dinosaurs, but I have never taken all the kids there.